Falling is NOT an inevitable result of aging. Yet, falls are the leading cause of fatal and non-fatal injuries among seniors. In the U.S, an older adult is treated every 13 seconds in an emergency room for a fall related injury. 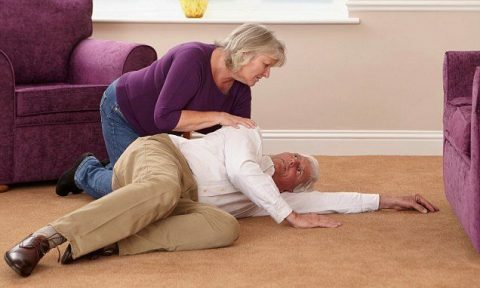 Every 19 minutes, an older adult dies from a fall. Most people over age 65 have likely either already taken a tumble or spent time worrying about doing so. Falling is scary, especially if you live alone. Reduce your risk of injury by being proactive about making appropriate lifestyle modifications, educating yourself about falls prevention, and managing your medications effectively. Falls, or even fears about falling, threaten our safety and independence. An increasing number of older adults worry about falling, and limit their activities and social engagements as a result. Do not wait until you fall to take action! Take good care of yourself and your health. Enlist support from friends and family to help you lower your risk of falling and avoid becoming one of the statistics.